It's not a dream, Leo! 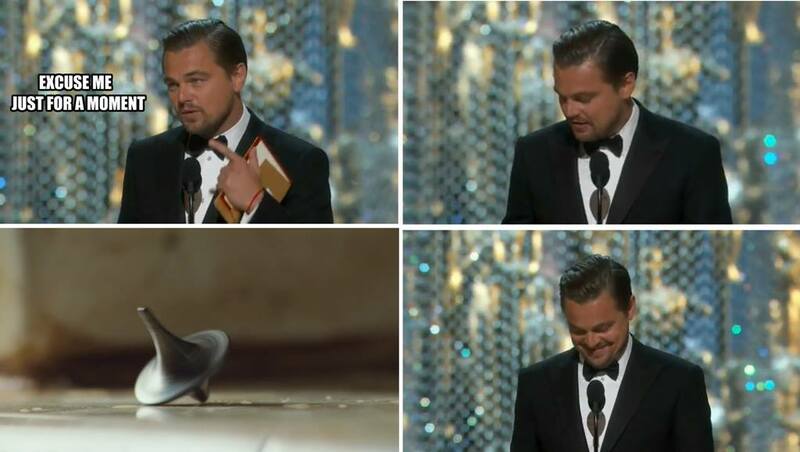 One of the longest running internet memes has been at the expense of Leonardo DiCaprio's lack of an Oscar win. Which is a bittersweet nod to the actor implying that he is very deserving of one, but since it hasn't happened yet, why not make jokes at his expense? Well, that all came crashing down on Sunday when the Internet collectively exploded over DiCaprio's win for his performance in The Revenant. The Internet is left to ponder, "What will we make fun of next?" For the uninitiated (or people who just have a life in general), memes are a concept that was birthed by the Internet. A meme (/ˈmiːm/ meem) is "an idea, behavior, or style that spreads from person to person within a culture". A common misconception is that a meme is just one of those photos with big white bold text layered over it; but if you thought that was so, you wouldn't be far off. I remember when I was a kid I said something that made a room full of people laugh. I had an intense sense of euphoria and continued to tell the same joke repeatedly to the same crowd hoping for the same reaction (also known as 'insanity'). In order to offset my social awkwardness, my father told me that a joke is typically funny just the first time; the second may get a small laugh; and by the third, it's usually been beaten into the ground. "We've heard that one before." Check out the GIF below to get a general sense of how these memes work and where they go to die. The Internet has its "top men working on them." Believe it or not, there’s a better way. GracePorts® provide convenient access to control panels safely through closed doors. These fully customizable communication ports make performing routine tasks more efficient and confidently safe by providing peace of mind. Thru-door access enhances compliance to NFPA 70E / CSA Z462 as well as global electrical safety standards. 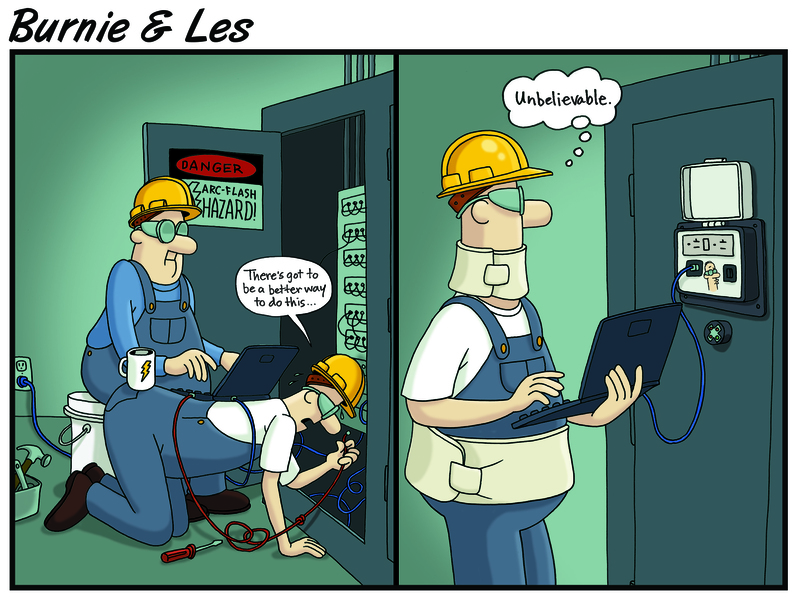 With the use of GracePorts, you'll never have to compromise a workers safety like our pal, Burnie. We will be showcasing our GracePorts® and Permanent Electrical Safety Devices (PESDs) product lines at the 23rd annual IEEE Electrical Safety Workshop (ESW) being held March 7 – 11 in Jacksonville, FL. Meet the team that is dedicated to providing innovative solutions that enhance electrical safety, increase productivity and minimize risk. Stop by booth #421 to join us in the electrical safety conversation. We'll be there with 500 others who share a passion for preventing electrical injuries in the workplace. Leo wins Oscar. Internet Explodes. Begins search for next meme. Burnie & Les get a GracePort®. Life gets easier for Burnie. Join us at the IEEE Electrical Safety Workshop!